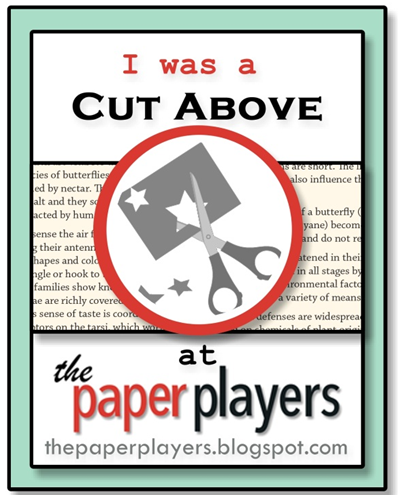 Thank you for joining us at the Paper Players. Starting this week, we have decided to make a small change to choosing our winners. The Challenge Hostess, whom this week was LeAnne, will choose the Headliner and the Cut Aboves for the week! That way, she can choose all the projects she felt were "standouts" for her challenge! The great thing is, each week we have a different hostess and therefore a different style represented!!! LeAnne has chosen her Headliner for the week...but before we get to the Headliner, she would like to share a few of the projects in the gallery which really caught her eye! I was so excited with this change that Lesley implemented, because every week there are several creations that I would love to pick, and this actually gives me a chance to do just that! But I had to narrow them down to one Headliner, and Jennifer's card had me "in stitches"! This little House Mouse image of a mouse using a pincushion as a trampoline cracked me up, and the two little mice peeping out of the thimbles, which are so realistic, sent me over the edge! Jennifer & I share a love of sewing and needlework, so the doily background, lacy border and pretty ribbon and button trim sang to my heart! 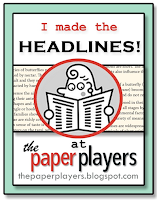 Congratulations, Jennifer, on being my Headliner this week! 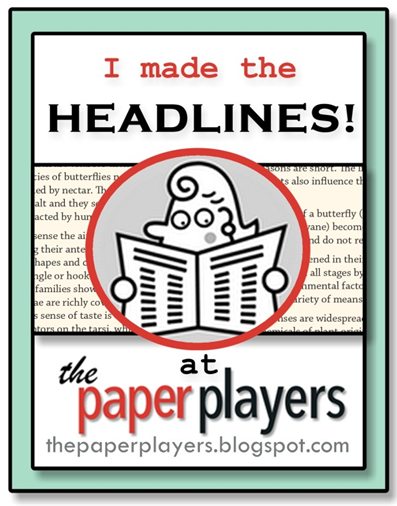 If you were one of our winners for the week, please be sure to grab the winning badge for your blog! Join us tomorrow, we have another great challenge for you all ready to go! 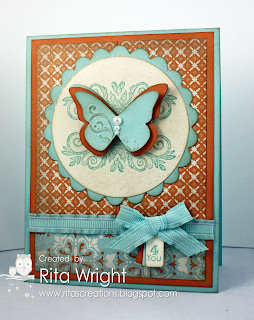 Love the house mouse stamps!!! Leanne, Thanks for including me in your picks this week! You had lots of wonderful submissions. Congratulations to everybody! First off, I LOVE the idea of the hostess picking the winners. 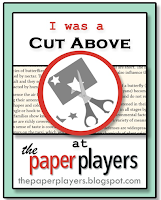 I want to thank everyone at The paper Players and especially LeAnne. What a wonderful surprise, and with so many amazing entries to boot! Congrats to everyone that entered. 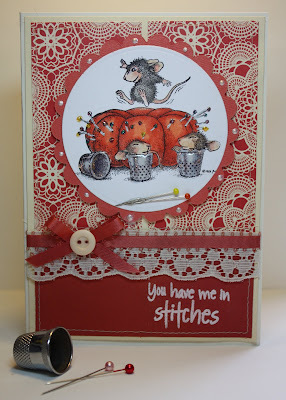 GORGEOUS, gorgeous creations - that mouse jumping on the pin cushion is divine!!! What a thrill it was to learn my card had been chosen as a headliner. Truly, I'm thrilled and honored. The cards are ALL fabulous! It is so much fun to participate with each and every one of the creative people who've posted cards. Such lovely creative inspiration from everyone. Again, thank you so much!